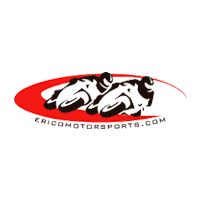 Please note: Special financing rates available only to qualified customers. 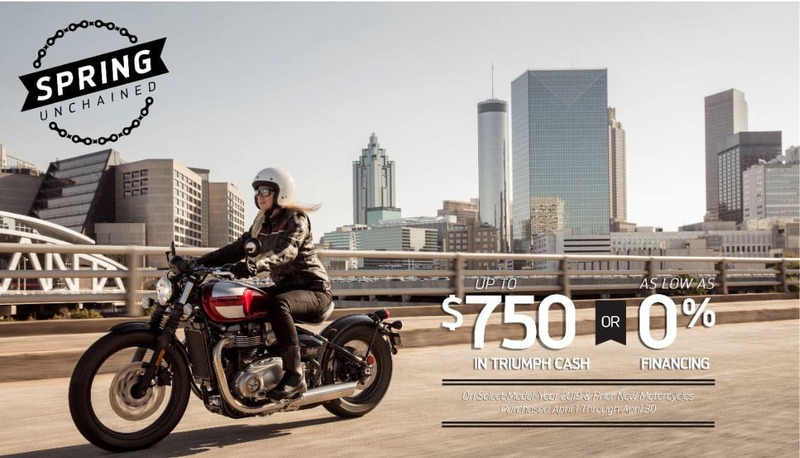 On models offering either Triumph Cash or special financing, customer can only receive their choice of one of these offers. 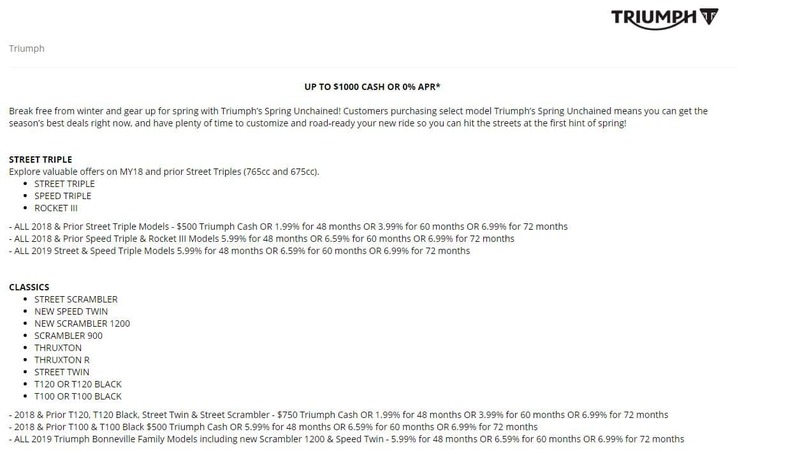 Free silver pannier set (installation not included) included on every MY 19 and prior Triumph Tiger Explorer purchase.